October | 2014 | Careerschap | The musings of a careers professional in the higher education sector. The idea for this post came from reading an article by Carl Froch (he of pugilistic super middleweight boxing fame) when describing the woes and endeavour required to make it as an elite champion boxer and what they didn’t tell him before turning pro. So, seconds out, round one. 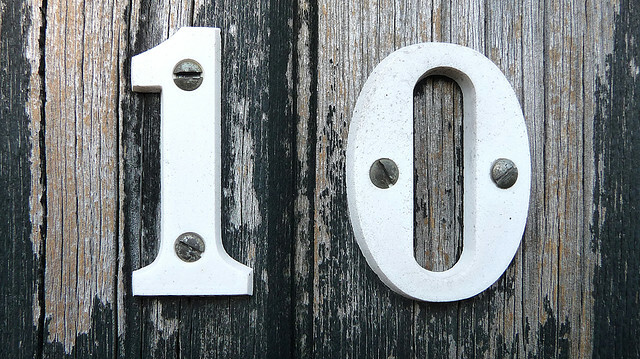 10 is the magic number! One | Some days you’ll feel like you’ve gone 12 rounds with Carl Froch. Not in the physical sense, but you get the metaphor; right? Let me explain. One client cry’s and it’s really awkward so you shuffle a tissue in their direction and feel partly responsible and terribly bad when your seemingly innocuous question results in an unexpected and uncontained outpouring of human emotion in your first appointment of the day. And it’s Monday. And you have another 8 appointments lined up. Your next appointment arrives late but then needs expert advice on becoming a Field Test Analyst for recreational equipment, and so it continues….. In fact, even the job title of “Careers Adviser” paints the illusion and expectation that we know about lots and lots of careers and our value as a practitioner is validated by being able to recite with 100% accuracy the qualifications, job description, career progression, labour market and opportunities for each job title. Us Careers Advisers like to please and sometimes, early on, it felt like I had to live up to that expectation. Believe me when I say we don’t have to condemn ourselves to ceaselessly reading internet job profiles like some modern day career Sisyphus. I like to think of the “careers cloud”. I don’t have to carry it with me to know where it is and how to find it. Three | Sometimes it’s good to disagree. I don’t mean proactively trying to annoy or be obstinate but it would be very, very easy to just go along with a client’s every need and keep the entire interaction very jovial and comfortable. Succour comes far more naturally to most careers professionals I know and work with. But then we wouldn’t always ethically and morally be doing our job. Sometimes clients have dodgy values and beliefs that need to be challenged. Sometimes we need to ask probing questions to understand before being understood. Sometimes we need to play devils advocate to test ideas, rationale and judgement. During my first ever two week training camp for diagnostic interviewing at a rather posh country house, our seasoned, hugely experienced expert gave us all this advice. He said, “whatever you do, at least make it memorable for them. If you don’t then nothing has changed and they won’t act on anything”. It took me a while to understand what he meant. I mean, it is easy to be memorable for the wrong reasons, surely? But what I think he was getting at was that guidance can offer both a critical lens that some clients lack and a gentle boost that some clients need. Some of the best advice I’ve ever had is something I didn’t agree with or want to hear at the time. Four | You’ll never really be a career expert. Slightly contentious this one but the pinnacle of a lot of professions is to know a lot of technical stuff with theory and seemingly have all the answers. In our world, a client forming an answer for themselves is far more powerful than just being told what our construct of the correct answer should be. Yes, we need to give the correct answers to technical questions (using our careers cloud from number two in my list) but when it comes to decisions and what to do next. Well, that’s why we are all unique with different stories. In this brave new world of happenstance, chaos, uncertainty and narrative it makes you realise we are very often facilitators rather than prescriptive experts. Are we now “Reality Facilitators”? New job title please! Five | Results are rarely instant. We’ve all been there. You’ve had a great guidance appointment where things just clicked into place for both you and the client. You see great things ahead for them if they follow the agreed advice and actions. But, in the most part, the people we help don’t usually check in to provide us with status updates on their life! This is both the beauty and bane of careers guidance. 99% of the time we don’t see the fruits of our labour straight away. Sometimes this could be years away until a particular approach pays off for a client in their career. “I think we are now operating in quite a fluid theoretical base which provides a rationale for a range of approaches (or triangulation which I’ve heard it called) but which also means discrepancies across practitioners in whatever theoretical soup they are serving that day. I’d advocate a conscious method of practice but also one which can be adaptive and change to suit the needs of the client. For instance, if we are too prescriptive and inflexible and we are seeking to influence and exert change then when change occurs our interaction and approach may then need to adapt as well”. Seven | Some people just think you check CVs: Most guidance folk I know have raised this one so I know I’m not alone. It is something I’ve come across in clients and other professionals/colleagues that I work with. It’s annoying and makes you feel de-skilled (not that helping create/proof CVs is not important and skilled because it is) because we do so much more! “Yes we help with CVs but not just CVs” says the tattoo on my forehead. Eight | Not everyone values careers guidance as much as you value it: Sometimes the employability agenda in higher education can consume the narrative on what students need to get a graduate job. Career management just doesn’t seem to garner the same importance even though those in in the know, know it does and should! The financial benefits to an economy of its population receiving impartial careers guidance has been well documented. Perhaps this is to do with guidance not being instantaneous and quantifiable at times. Perhaps it’s because in the UK it doesn’t receive the financial investment and kudos so it isn’t as visible as it was. Maybe it’s because some people don’t appreciate the skill, qualification and knowledge base of being a Careers Adviser and assume you just need a little common sense and that’s it. But without doubt at various points you’ll find yourself defending and advocating careers guidance to the uninitiated and unconvinced. Nine | You’re not just a Careers Adviser: Either by choice or design or both invariably our roles are much broader than just 1:1 careers guidance. Thinking of my own role, I have to stand in 200 capacity lecture halls and deliver a multitude of sessions ranging from using LinkedIn to career planning. In previous roles I’ve been a makeshift Social Worker and some guidance sessions can feel like counselling. We’re often expected to be labour market analysts and recruitment experts alongside attending meetings which sit within the realm of consultancy. I think if we did a vox pop of careers professionals then 1:1 guidance work would actually represent a much smaller part of the role than many of us actually realise. Ten | We need failure just as much as the next person. It’s funny how often we try and engineer failure out of our lives. I see it in the students I support all the time. They say, “I need the perfect plan so I don’t mess up and end up unemployed”, or words to that effect. Failure is generally seen as something to avoid and not revel in too frequently. Truth be told we learn far more from our failures than we do with success. I personally find myself asking “what went wrong” more than I say “well what went right”. There is a cheesy sounding acronym for FAIL which has some truth. You generally only get good at things with a healthy dose of failed attempts. This is true of most skills in life. Careers guidance practice is no different. We should try out different approaches and theories to expand our toolkit and become more effective. I have huge respect for people who try new things knowing and accepting it may not work out straight away. So these are my 10. Please feel free (don’t lurk) to add your own in the comments.